Paul Johnson. 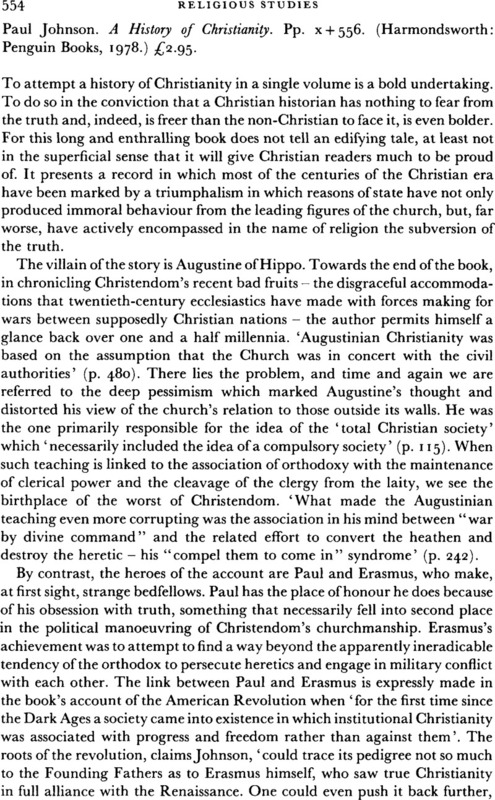 A History of Christianity. Pp. x + 556. (Harmondsworth:Penguin Books, 1978.) £2.95.